If you’re lucky enough to live in the small town of Ashoro, Hokkaido Prefecture, there is an attraction opening up at the end of the month and lasts well into the summer that lets you experience driving your own train in Japan. They use an abandoned railway, and a railway with many curves and twists. What’s even cooler are the trains. 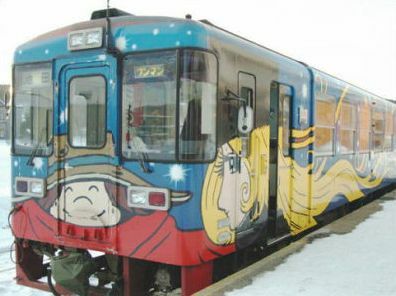 The one pictured is decorated from the anime Galaxy Express 999. That anime is really special to me because its the very first anime I ever watched, and the reason I got hooked on anime today. If you like classic anime, definitely worth checking out. Some consider it to be one of the first big anime movies. Source Gigazine.